More than 1500 tractors descend on Paris. In general however, the protest has not been that disruptive which – perhaps – bodes well for a repeat demonstration in Brussels on Monday. Also, F1 racer Daniel Ricciardo recreates a classic Targa Florio. Roads out of Paris likely clogged after 16:00 local time ahead of similar Brussels protest next week. The organisers claim 1733 tractors assembled in the Place de la Nation in Paris today. Police put the figure at 1365 tractors and 49 buses (later updated to 1580 tractors, 91 buses and 4500 farmers). Either way that is a considerable number of – slow-moving – vehicles to return to the provinces tonight and tomorrow. The demonstration was expected to last until 20:00 this evening – with vehicles heading out tonight or tomorrow – but motorway operators told motorists this afternoon to leave the city before 16:00 to avoid convoys of tractors on the way home (update 18:00BST – the tractors have started to leave Place de la Nation it doesn’t seem that many have taken to the major roads as yet). The protest is over low prices for farm produce and is a continuation of road blocks carried out around the country over the past month. One thousand tractors were originally expected to attend but that had swollen to more than 1500 by yesterday as farmers made their way to the capital. According to Sanef Autoroutes, a 165-strong convoy approached the capital on the A4 east of the city this morning with another 250 on the A13 to the west and 350 on the A1 in the north. More vehicles entered Ile de France from the south west on the A11 and A28 from Le Mans, and from the south on the A10 from Orleans and A6/A77 from Nevers though operator Vinci Autoroutes did not say how many. Despite this considerable number of vehicles – apart from first thing this morning as tractors poured into the city from all directions – the protest has not, overall, been that disruptive to traffic. The farmers in general have been quite respectful of other road users and have stayed in the outside lane on autoroutes mostly. There certainly haven’t been the massive queues, or blockades, seen on previous farmer demonstrations. This – might – bode well for two similar protests due to be held in Brussels on Monday (7 September), from 10:00. Around 1500 dairy farmers, and ‘hundreds’ of tractors, from around the EU will protest at the Schuman roundabout in the European quarter to the east of the city centre. 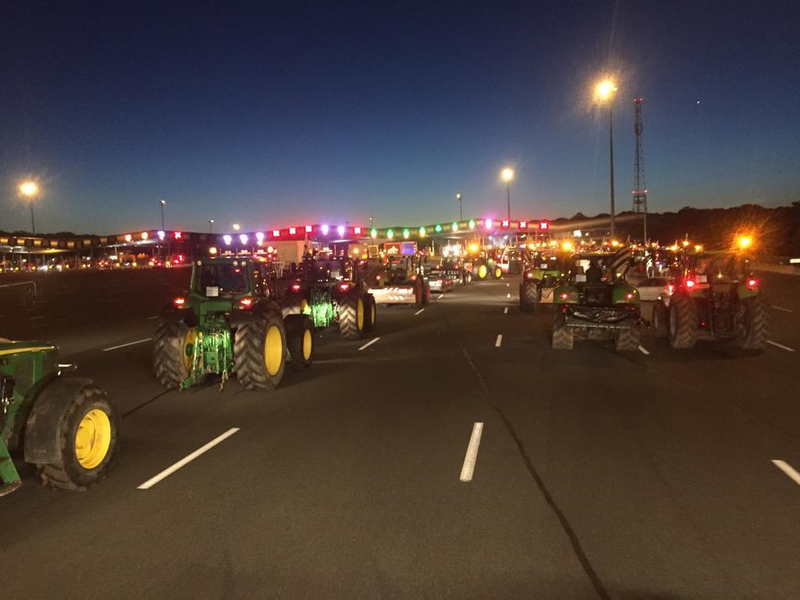 Another group of 3000 European farmers – and ‘several hundreds’ of tractors – will demonstrate between the North Station to the Schuman rounabout. Quite how that many tractors are going to get to the Belgian capital in the first place, and where they are coming from, is not completely clear yet (@TRAFnord warns of disruption through Lille on Monday). Meanwhile, Brussels Police warn about heavy traffic congestion in the city centre, the small R20 ‘pentagon’ ring road and the European quarter. See more at Brussels.be. F1 driver Daniel Ricciardo has recreated the Targa Florio scenes from classic sportscar documentary Speed Merchant. His Red Bull boss Helmut Marko was actually at the wheel of the Alfa Romeo T33 during the making of the original film in 1972, and set the course record. The 72km circuit starts on the coast, east of Palermo then winds through the Madonie Mountains. 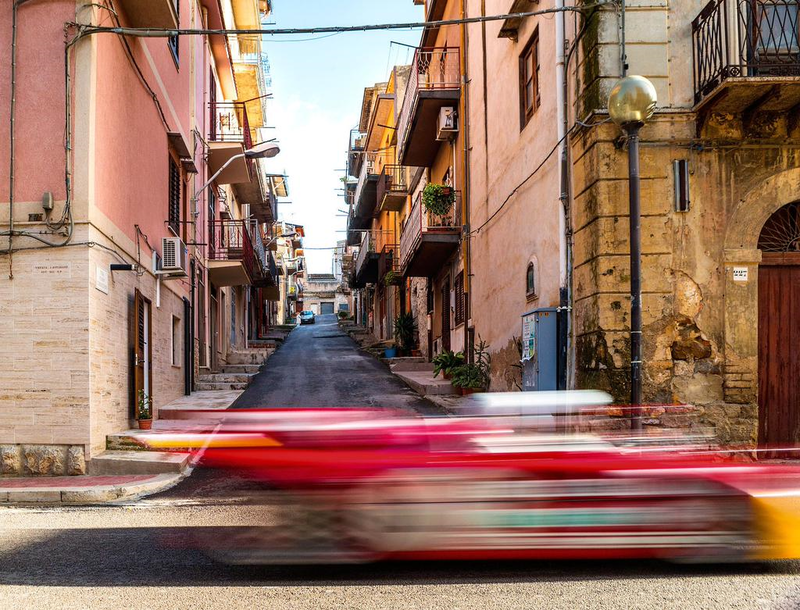 See more on the Targa Florio, or more on Ricciardo’s trip at Red Bulletin.